Now that Becca Kufrin has all the power as the next Bachelorette, it takes a little bit of the sting out of her heartbreaking and extremely public breakup with Arie Luyendyk Jr. Still, even if fans have forgiven, they haven’t forgotten the way ABC’s then-Bachelor made such a spectacle of Kufrin’s emotions. 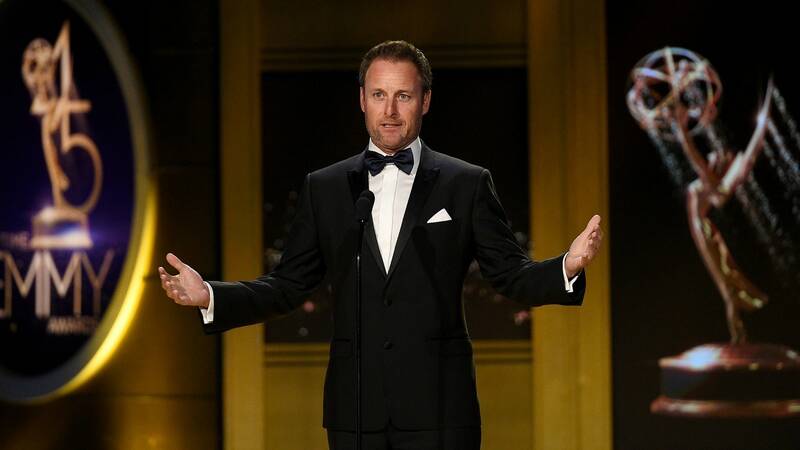 Even Bachelor host Chris Harrison is going on record to admit that Luyendyk created a huge mess of things — and he doesn’t expect anyone to pretend otherwise. Of course, that can be easier said than done, given how quickly Luyendyk picked up with Lauren Burnham, the recipient of his second proposal, and how active the couple has been on the media circuit. And Harrison isn’t above admitting that his former Bachelor pick didn’t exactly make it easy for Bachelor Nation fans to support him. “Even I say, he was a knucklehead. He made some really dumb decisions,” Harrison told THR, calling it like he (and basically everyone else who tuned in) sees it. OK, OK… you’ve got a good point, Harrison. After all, as painful as Kufrin’s breakup was, we’re sure she would much rather have found out Luyendyk had reservations before they got hitched than after they’d made it down the aisle. He definitely bungled the delivery of that revelation, but at least he was honest with Kufrin before it got even more complicated. It goes without saying, though, that this is The Bachelorette. Kufrin no longer has to deal with Luyendyk, but that doesn’t mean she won’t have to weed out a few more knuckleheads in pursuit of the last man standing.